The youngest of five children, Michelle Eileen McNamara was born in Oak Park in 1970. McNamara was raised Irish Catholic and attended St. Edmund’s. She was a curious child with an interest in writing. McNamara served as the editor of the student newspaper Trapeze during her senior year at Oak Park River Forest High School. McNamara went on to graduate with a bachelor’s degree in English from the University of Notre Dame and a master’s degree in creative writing from the University of Minnesota. Michelle later moved to Los Angeles to be a writer primarily for television and film. In Los Angeles she met comedian Patton Oswalt. The two married in 2005 and had a daughter, Alice, in 2009. McNamara’s website True Crime Diary was created in 2006. Over a hundred unsolved crimes were detailed and analyzed on her website. In 2013 and 2014, McNamara wrote articles about the Golden State killer for Los Angeles Magazine, originating the name “Golden State Killer”. She signed a deal with Harper Collins to write a book about the unsolved murders that, if not actually naming the killer and bringing him to justice, she hoped might bring some comfort to his victims. 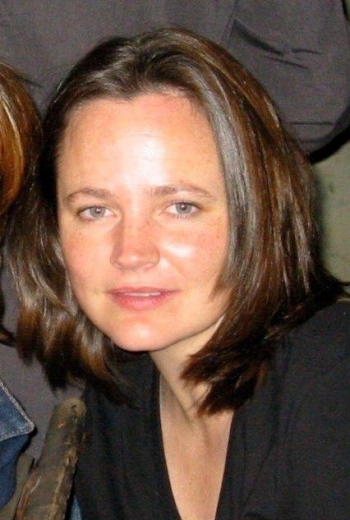 Michelle McNamara died suddenly on April 21, 2016. Her book I’ll Be Gone in the Dark: One Woman’s Obsessive Search for the Golden State Killer was completed by colleagues and posthumously released in February of 2018 and reached critical acclaim, remaining on the New York Times Best Seller List for over eight weeks. Just 2 months later Joseph DeAngelo, a 72 year old former Sacramento area police officer, was arrested and charged with the multiple murders and rapes. DNA evidence from the crime scenes and genetic information on a genealogy website led to the arrest. As of April 2018, production of an HBO documentary series based on I’ll Be Gone in the Dark was underway. Submitted by Olivia Kerr, July 2018, with addition by Bob Messer, September 2018.